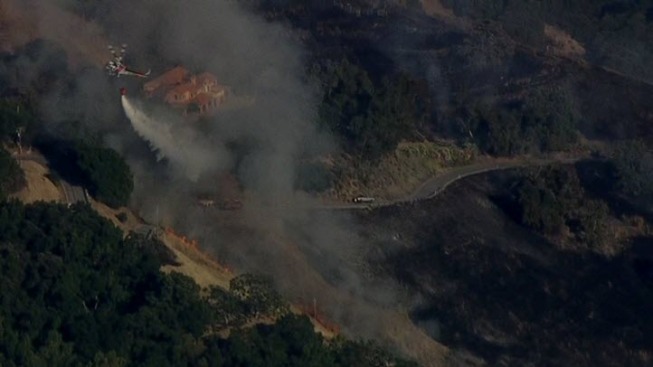 Firefighters on Wednesday night appeared to have the upper hand on containing a brush fire in the foothills of East San Jose. The blaze late Wednesday on Quimby Road, south of Mount Hamilton Road, had charred 54 acres before fire crews stopped its forward progress, Cal Fire officials said. The flames were seen coming fairly close to at least one home, but no structures had been damaged or destroyed, fire officials said. No injuries were reported. The cause of the blaze was not yet determined, officials said.